Looking for an engaging, eco-friendly craft to do with your kids to get (even more!) excited about Halloween? These Halloween monster candy boxes are a fun recycled craft for children to make at school, at a party, or at home with the family. The best part is, you can fill the monster box with candy or toys that kids can grab themselves while trick-or-treating, or they can be used as party displays to liven up Halloween get-togethers. 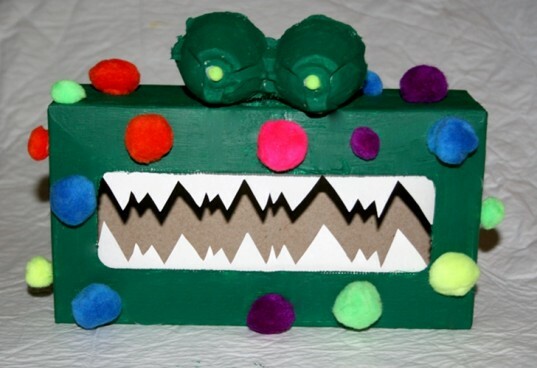 Kids can choose to make monster boxes that are silly, scary, happy, or playful. The options are endless! 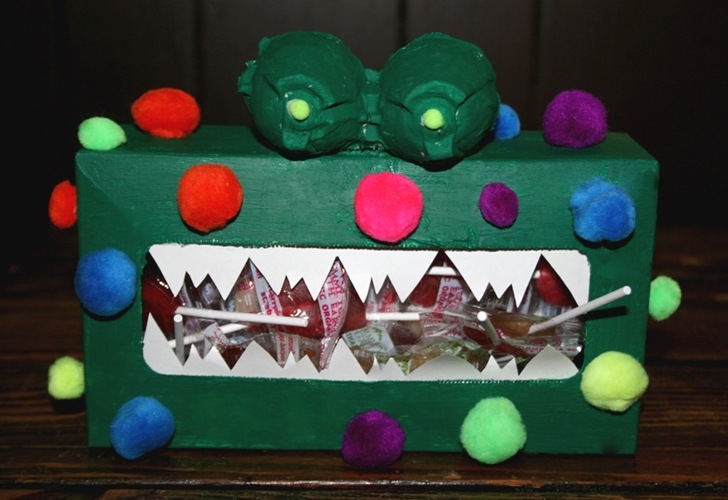 Keep reading to learn how to make these easy Halloween monster candy boxes. Using a thick non-toxic paint, thoroughly paint the entire tissue box. Cut out two egg carton shells to be used as the monster’s eyes, and glue them to the dried box. Then paint the eyes the desired color. 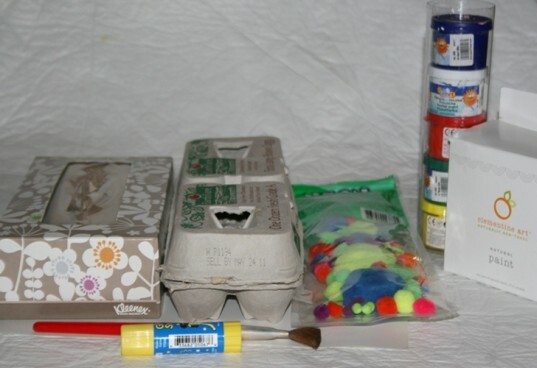 You can also paint the egg carton eyes before gluing them to the box if you find that to be easier. Using a four-inch strip of white paper, sketch triangle teeth stopping in the middle of the paper. 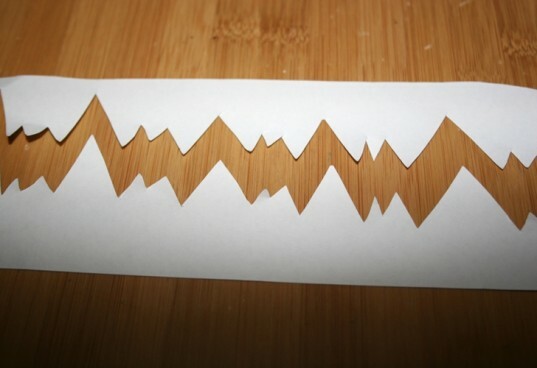 Then cut the paper, using care to not bend either side. Glue the paper teeth to the monster box. Use pom-poms, googly eyes, or whatever else you have around the house, to decorate your monster box. You can also paint polka dots or any other designs onto the box if you’re short on other craft supplies. 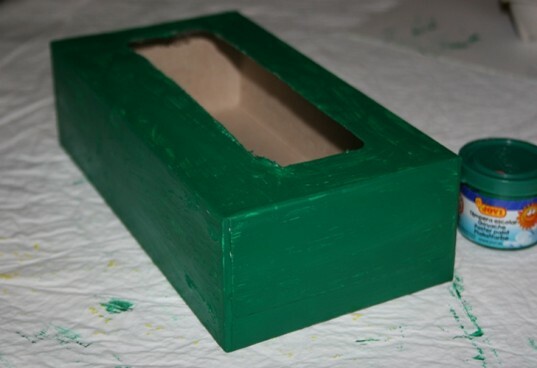 Using a thick non-toxic paint, thoroughly paint the whole tissue box. 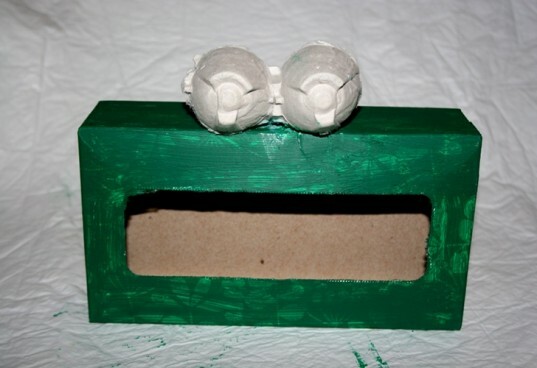 Cut out two egg carton shells to be used as the monster's eyes, and glue them to the dried box. Then paint the eyes the desired color. You can also paint the egg carton eyes before gluing them to the box if you find that to be easier. Use pom-poms, googly eyes, or whatever else you have around the house, to decorate your monster box. You can also paint polka dots or any other designs onto the box if you're short on other craft supplies.